The NHS Sustainability Leads Network sets aside part of each meeting to hear about opportunities for continuous improvement in their service. At the Network’s June meeting David Wynn, Head of Client Services at Greenstone, was invited to provide an update on sustainability reporting and the use of software. The ever increasing requirement for more information and detailed analysis continues to put sustainability professionals under pressure and makes it harder for them to effectively balance their time between strategy and reporting. Reporting is of course an essential part of assessing performance but when it comes to managing data offline, organisations are too often drowning in spreadsheets with data that can’t be easily accessed or analysed. Moving sustainability data to an online platform provides an opportunity to remove inefficiencies and the data management headache, enabling you to use the information to focus on identifying opportunities for improvement and change. Climate Change Reporting: Why do we bother? 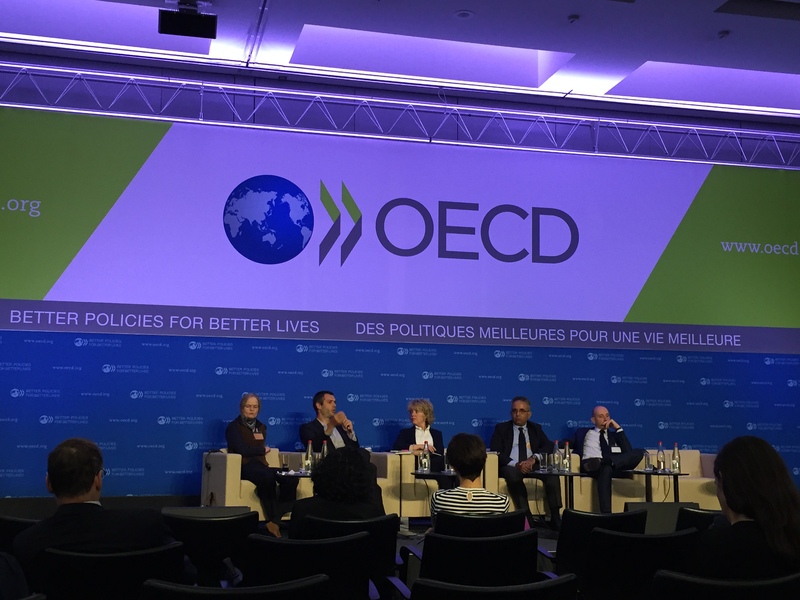 Greenstone’s Head of Client Services, David Wynn, attended the OECD Global Forum on Responsible Business Conduct in Paris. Here he reflects on the key global trends and discussions on climate change reporting from the event. Hot off the tail of the warmest May since records began, the OECD Global Forum in Paris brought with it more sweltering heat and an opportunity to share thoughts and insights with global leaders working in responsible business conduct. Covering everything from human rights in international sport to China’s approach to human rights, the forum was an opportunity for global professionals to share information and set the stage for a long-term vision for sustainable business. Greenstone is holding a webinar on Tuesday 21st July at 1pm GMT on what you need to know about reporting Scope 2 emissions under the new GHG Protocol guidance. New guidance on Scope 2 reporting has been published by the GHG Protocol as a response to the rapid growth in renewable energy. It offers organisations a new approach for reporting how low-carbon electricity purchases contribute towards their carbon footprint.